Gurdjieff was a True Spiritual Master and Mystic of the 20th century, an extraordinary man whose teachings deal with the most important existential questions about the meaning and purpose of human life. He lived during a period of political and social unrest and could realize that most of humanity had long stopped functioning in a harmonious way due to difficult social conditions. After many years of personal search and spiritual practice, Gurdjieff managed to enter the essence of ancient traditions, and find the lost answers that preexisted all known religions and systems of faith. He presented them in such a way as to make them understandable and more easily accessible to the modern man of the West. Gurdjieff's spiritual method of self-awareness was called by his student P.D. Ouspensky "The Fourth Way," because in it, Gurdjieff incorporated the intellectual, emotional and physical aspects of self-development, instead of separately working on each one of them. In order to achieve this, he not only used lecturing and writing, which appeal to the mind, but also music to wake up emotions, along with dance and movement to stimulate the body. But Gurdjieff was not a theorist. As Dr Kenneth Walker said "Gurdjieff was a living example of the outcome of his own teaching, which he summed up in the words 'the harmonious development of man.'" His students and followers thought of Gurdjieff as an enlightened man, and when, in his lectures, he referred to Jesus, his students could only think of Gurdjieff, himself as a messenger from God, too. For his students, Gurdjieff was their Jesus, and they felt they were his apostles, who had to spread his teachings all over the world. George Ivanovitch Gurdjieff was born in Alexandropol, modern-day Gyumri, in Armenia, Russian Empire, on January 13th, most probably in 1866, but 1872 and 1877 have also been mentioned as the years of his birth. His father, Georgios Georgiadis, who was a carpenter, was of Greek origin and his mother was Armenian. Gurdjieff grew up in the town of Kars and from an early age, he showed a keen interest in the ancient scripts and in the paranormal. 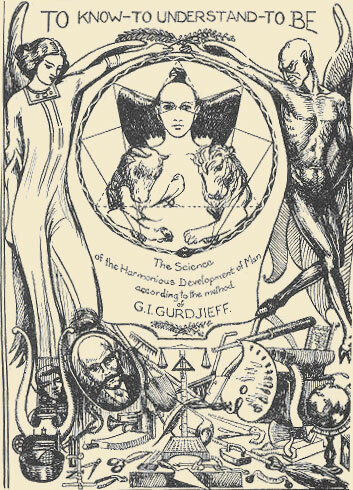 Most of the facts about his first adolescent and adult years come from Gurdjieff's own accounts in his book Meetings with Remarkable Men, which is the second volume of his trilogy All and Everything. The book cannot be considered as purely autobiographical, and Gurdjieff prefers to concentrate on events rather than dates. However, after 1912, when Gurdjieff arrived in Moscow, dates concerning his life are regarded as accurate. As a young man, he took part in several pilgrimages to holy places, monasteries and saints' tombs hoping to find answers to his questions about human existence, and with the money he earned from working at the railway station of Tiflis, he bought a large number of old Armenian books searching for ancient mysteries. After that, he travelled to Egypt, the Middle East and Central Asia, reaching as far as The Gobi Desert and Tibet, trying to find the hidden knowledge of the ancient sages. 1st series: Three books under the title of "An Objectively Impartial Criticism of the Life of Man", or "Beelzebub's Tales to His Grandson." 2nd series: Three books under the common title of "Meetings with Remarkable Men". 3rd series: Four books under the common title of "Life is Real Only Then, When 'I Am'". He started teaching in Moscow in 1913, and attracted several students who were interested in his ideas on human nature and his system for spiritual development. 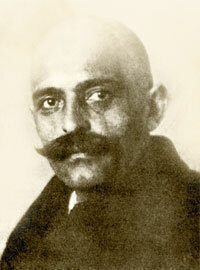 Because of the political upheaval of the time, and the Bolshevik Revolution, Gurdjieff had to change several cities in Russia, and in 1920, Gurdjieff, his student Uspensky, and the composer Thomas de Hartmann, moved to Istanbul, Turkey, where they paid frequent visits to the monastery of the Mevlevi Order of Sufis to attend the ceremony of The Whirling Dervishes. From Istanbul, Gurdjieff travelled to various European cities, lecturing and presenting his work, before establishing the Institute for the Harmonious Development of Man in Paris, in 1922. 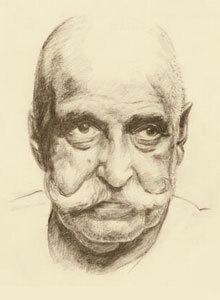 In 1924 and 1925 Gurdjieff travelled to North America, and large audiences were attracted to his lectures. After the death of his wife in 1926, Gurdjieff stayed in Paris and wrote his trilogy All and Everything. During the Second World War, he remained in Paris and in spite of the hard times, he never stopped teaching and inspiring his students. He died on October 29th, 1949 and was buried at the Fontainebleau-Avon cemetery. His doctor, William Welch said: "I have seen many men die. He died like a king." Gurdjieff's ideas cover many different fields of knowledge. He was a mystic, a philosopher, and a psychologist who went deep into the human psyche, and came up with the realization that our apparent limitations are the result of our unwillingness to act and change in such a way as to be able to use the full range of our natural and divine endowment. Gurdjieff saw man under the light of his possible evolution. While psychology examines the man in his current state of existence, and tries to heal his weaknesses, Gurdjieff's aim was to help him develop his potentialities, become aware of his real nature, and "wake up from his sleep," by applying the proper spiritual practices which he called "The Work." Gurdjieff believed that humans, in their normal, everyday state, are extremely mechanized with almost no degree of freedom, and that human activity is mostly reactive to environmental stimuli, thus leaving little margin for originality in actions, thoughts and feelings. He taught that humans who desire to escape this slumbering state, must first become aware of their mechanized nature and then gradually, replace mechanized thinking with true and potent levels of awareness. According to his teachings humans consist of four different bodies. The first is the physical body which is the one that the fakirs work on, the second is the emotional body which monks use in their search for God, the third is the spiritual body through which yogis try to alter the nature of their consciousness, and the fourth body which is the "Master" or the real "I," is the ultimate goal of Gurdjieff's System, and it is the state of being that will liberate man from mechanization. His "Work," which was an elaborately designed teaching methodology, included prayers, music and sacred dances, which he learned during his stay as a pupil in a "Sarmoung" monastery in Turkestan, and which he used to make his students increase their attention, fight laziness and daydreaming, and reach higher levels of consciousness. Gurdjieff considered those movements as a very important part of his method and sometimes he referred to himself as a "teacher of dancing." He had also choreographed a ballet called "Struggle of the Magicians," whose music and gestures came from the Tibetan monasteries. One of the symbols Gurjieff used in his method for harmonious development was the enneagram, whose name comes from the Greek words ennea-nine and grammi-line, and which he believed to be "the fundamental hieroglyph of a universal language." Gurdjieff said that all knowledge and all the universal laws can be included in the enneagram, which is now believed to have its origins in the ancient Egyptian religion of the nine deities, as they were presented in the Egyptian cosmogony. With the use of visual symbols such as the enneagram, the use of music and dance, Gurdjieff wanted to make his students understand that words were not the only means of conveying ideas, and that the concept of man and his place in the universe went beyond the use of language. He applied an esoteric teaching which explained how to restore the lost knowledge and whatever was distorted in religion, and which could help men to develop their essence and get rid of the fake, artificial personality of an automaton, which is just a part of a machine. Gurdjieff knew that as long as man is treated "in the mass," world harmony is not possible to be attained. Since the world is a reflection, or an enlargement of the individual world, if individuals do not develop, the world will not be able to live in peace and harmony. Gurdjieff gave humanity his esoteric teaching of The Fourth Way, through which individuals follow the sacred, inner path of self-transformation that will eventually lead to a collective, new awakening.